Yup, it’s about that time. Fun driving roads, good food, great friends. August is the month, so get ready. First Sunday in August, the 6th. We’ll gather at Security Square Mall at 1pm and tour to lunch at the Full Moon Pub after hitting some twisty backroads along the way. Join us! Almost time for another spring meetup! Last time got rained on, hopefully this time will be a better day, and with more people! If you can’t bring your 7, bring yourself at any rate! So far it looks like sometime in mid May will be the date if that works for you guys! But we’re back! Now using WP 3.1. Watch for new content soon! While many of us tend to be DIY’ers and work on our own cars, often it’s just better to let a pro handle it. In order to better serve the local E38 community, this is going to be a list of independent BMW specialists and other shops that can help you out. If you have had good or bad luck with any shop in your area from Pennsylvania to Virginia, post that info here. Hopefully this will end up being a great resource for local owners. If you have a shop and want to let people know about it, post here, as well. The E38 is a classic, timeless design, and the culmination of BMW’s Neue Klasse design language, first seen in the 1962 1500 sedan, and really popularized in the late ’60s 1602/2002 and Bavaria. 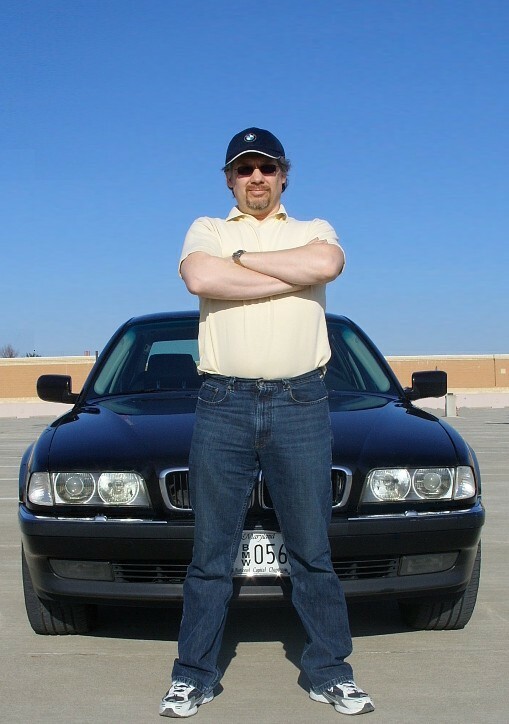 Claus Luthe was the designer in charge of it’s development (as well as the E32 before it) up until 1992, When Chris Bangle took over as head of design under Wolfgang Reitzle. Auto Motor und Sport described the car as “Slim and light on its feet”. It featured all of the amenities of a luxury sedan with the exhilarating drive characteristics of a smaller car. 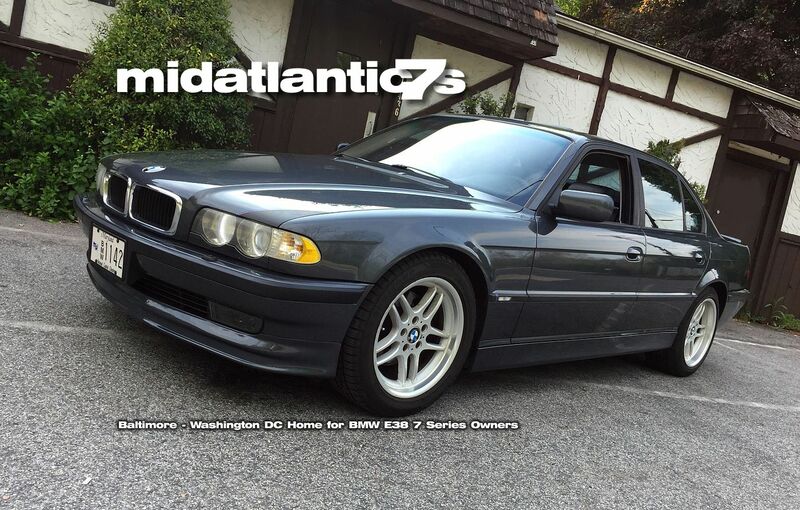 The E38 has turned into quite the value in the secondhand market, where you can get a lot of car for not a lot of money. 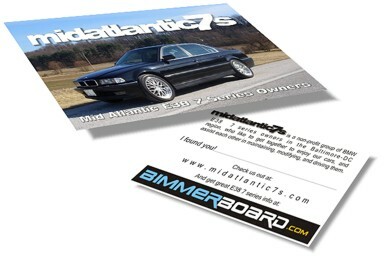 As with all used cars (and remembering that the newest of the E38 series is now getting onwards of 17 years old), how a particular example was maintained will have a lot to do with its value and its reliability. In future articles, we’ll go over some of the things to look out for when purchasing or maintaining one of these machines. But don’t let that scare you off! These cars are outstanding driver’s cars that can deliver years of motoring enjoyment, inexpensive luxury, and a fair dollop of practicality now. We have business cards on the way. Some of you may have seen these already, in their temporary form, but the final glossy ones have been ordered! if you want some to start passing out, let me know and I’ll send you a handful, or pick them up from me at an event. This is the section where we’re going to list and introduce our owners! I’ll start, as I’m creating this crazy group! My name is Chris Vetters, and I live in Pikesville, MD. My car is a 1998 740iL that now has 165k miles on it. I bought it two years ago off Ebay for the princely sum of $7500, and have spent some time modding it since then. It has 19″ RPM wheels w/Pirelli P Zero tires, an M style rear spoiler, smoked LED taillights, chromelined headlights, clear corner markers and side repeaters, and magnaflow performance catalytic converters to straight pipes to dual Magnaflow exhaust tips. I’ve been playing with cars for 30+ years, first having a shop that did racecar/street rod/custom fabrication for about 10 years. It’s now just a hobby, as I was getting burned out on doing something I liked. I’ve owned over 100 cars in the last 30 years, from most major manufacturers, and everything from Pintos to Porsches. I’ve done road racing and autocross, both as a competitor and as an instructor. This 740iL is my “gentleman’s hot rod.” A grown up toy for someone who basically refuses to grow up, even though he has to grow old. Ha! Register for the site here and let’s hear from you guys! We’re having a breakfast run to Annapolis Double T Diner with the BMWCCA National Capitol Chapter this Saturday, Feb. 21. Weather permitting (if it snows, no go! Ha!) I’m heading out from my house in Pikesville at about 7:30 or so, to met up with some of the BMWCCA members at the Columbia Park & Ride at Rt. 32 and Snowden River Parkway at 8:15 am. The Double T is at 12 Defense St, Annapolis, MD, if people want to just meet there instead (though arriving with a group of 7s would be cool! ).